No longer just an economic decision, shopping second hand is a greener way to enjoy clothes and celebrate a more eclectic sense of fashion. I have previously made work that is concerned with the impact on mental health of economics and access to green spaces. This new series will sit alongside that work because buying from charity shops is not only a more affordable way of buying clothes, but it engages creative thinking, allowing us to step out from the crowd and celebrate our own individual style. Additionally it has a positive environmental impact - prolonging the shelf life of existing garments and doing something too to counteract the need for more throwaway ‘fast fashion’ which in turn affects 'clothes miles' and CO2 emissions, promotes sweatshop factories and increases pressure on landfill, threatening our green spaces. I am sending out an invitation for participants in a number of photoshoots with people who habitually buy their clothes from vintage or charity shops, to be conducted with local green spaces as a backdrop because I feel that the more we can show the variety of ways that these multi-facted spaces have impact and purpose, the better the case for keeping them. I'm starting out by looking for people in their teens or early twenties to take part as I see this age group as not only having a collective sense of responsibility in their choices but having an awareness that they are the ones who will inherit whatever future we decide now to leave for them. I'd like to have written or verbal contributions as to the benefits felt by participants when they shop and dress this way. The age group may be extended at a later date if there is sufficient interest, and in fact, the project need not be limited to only clothing purchases. To begin with the work would feature on my website and on the Kathryn Polley Photography Facebook page. It may feature in future exhibitions and therefore in any press coverage that these generate which is why it is vital that if you are under 18, you would need to have parental permission to take part. 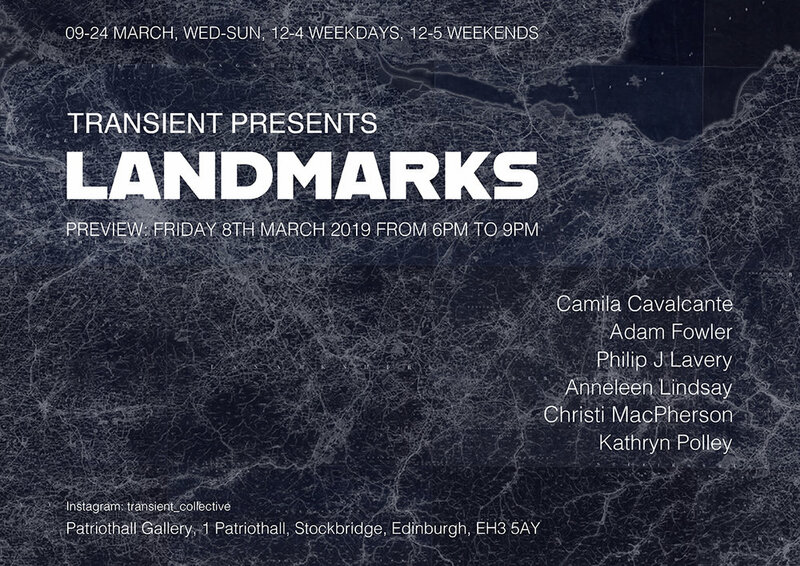 Landmarks is the inaugural exhibition of photographic work from Transient, a collective born out of a desire to promote connectivity between photographic practitioners from all over Scotland and beyond. The work in this exhibition represents six perspectives on the places we live, work and play. These environments and our interactions within them influence us in our relationships, physical, emotional and financial health and ultimately in our photographic practice. Each photographer’s understanding of their own significant landmarks is unique and this multi-faceted exhibition invites you to explore the idea of landmarks as physical, temporal, ideological, monumental,and topological signposts or turning points. Open: 09 March to 24 March, Weds-Suns, 12-4 weekdays, 12-5 weekends. Kathryn Polley is a photographer and educator based in the west coast of Scotland in Helensburgh. Her personal practice explores the means by which we seek to construct and experience a sense of identity , both within the confines of the family, and more broadly, examining the notion of belonging. "I find myself looking at the territories we create, the boundaries we set for ourselves, the connections we seek and the things that represent us - inadvertently or with deliberation, through the things we treasure and the things we throw away. Much of my work is focused on my own observations as I navigate the experience of being an adult adoptee coming to terms with a sense of ‘lack’ in my own identity, and an affinity for the liminal, using photography as a therapeutic tool. Health, both mental and physical, environmental and social concerns have provided the impetus for projects that consider our impact on the world around us and how we fit into it so that work which might begin on a very personal level becomes something much more universal." A graduate of the Glasgow School of Art where she was a nominee for the school’s Newbery Medal, Polley was the first prizewinner in the 2017 Jill Todd Photographic Award for her work ‘Album Familia’. Some of this work was published in the journal for the Scottish Society for the History of Photography. Kathryn Polley has exhibited in Glasgow, Edinburgh and London. 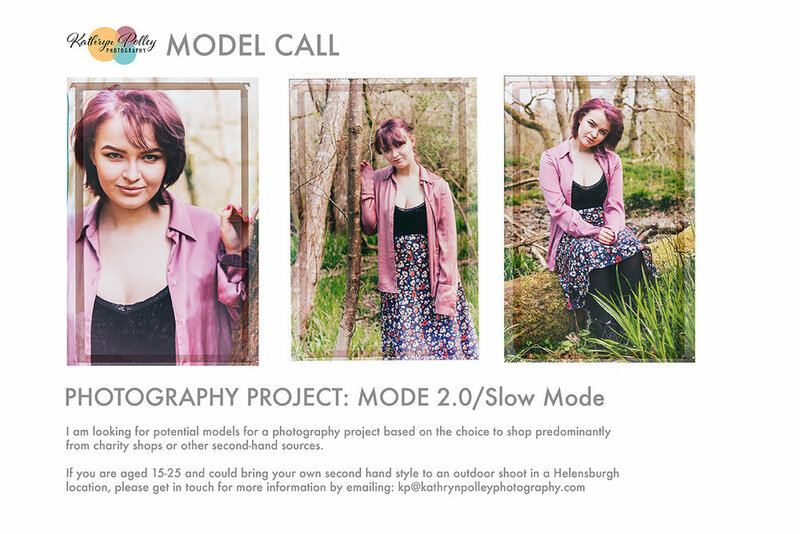 Kathryn Polley Photography takes commissions for portrait, product, editorial and event photography as well as offering workshops and private tuition.